I was offered an 3D Art and Animation internship with codeSpark during the summer of 2018. codeSpark is a game company which teaches kids (aged 4 - 10) how to code with "wordless coding" by solving puzzles with characters called Foos, who maintain their town and fix the messes of the Glitch. Kids are also encouraged to use their newfound skills and build their own 2D side scrollers in the game maker studio for their friends and other app users to play. For later use, I created a generic Foo character template from an existing character rig that could be used for standardizing later characters. I wrote up documentation on changes that were made. Foos had one expression, a static, neutral smile. Because of the planned expansion, I researched ways that faces could change on the Foos, so they could express themselves. Step 2: Worked with a programmer and figured out how to use Unity's sprite atlasing system to map different expressions onto the existing face mesh (instead of using sprites explicitly) resulting in a face expressions mastersheet. Artists now create and position the sprite on the sheet, then provide the name of the sprite so that the engine is able to retrieve the UV coordinates from the sprite name. Towards the start of the summer, I started thinking/sketching out different interactions for the Foos. These would be necessary because there was an upcoming expansion planned (funded by an SBIR grant). Once we figured out that we'd do Foo emotes (happy, sad, scared, etc) and action commands (pickup, eat, give, etc) with the expansion, we planned out the range of emotions we wanted the Foos to have while we set up the face system (as described above) for all the Foos. While we were in production for creating character emotes, the idea came up that for the expansion we could also allow the kids to give props emotions as well. Happy beds, for example. 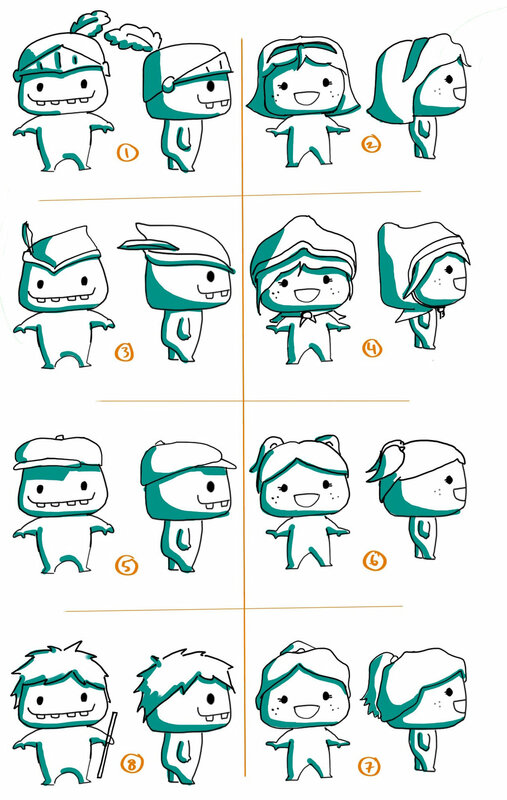 To keep the number of animations as small as possible, two sets of prop emotes were made to accommodate for different shapes and sizes of props in the most generic fashion possible. Using these animation sets, the props can generically emote. These animations were made directly in Unity. All props were assigned to Medium or Small catagories. 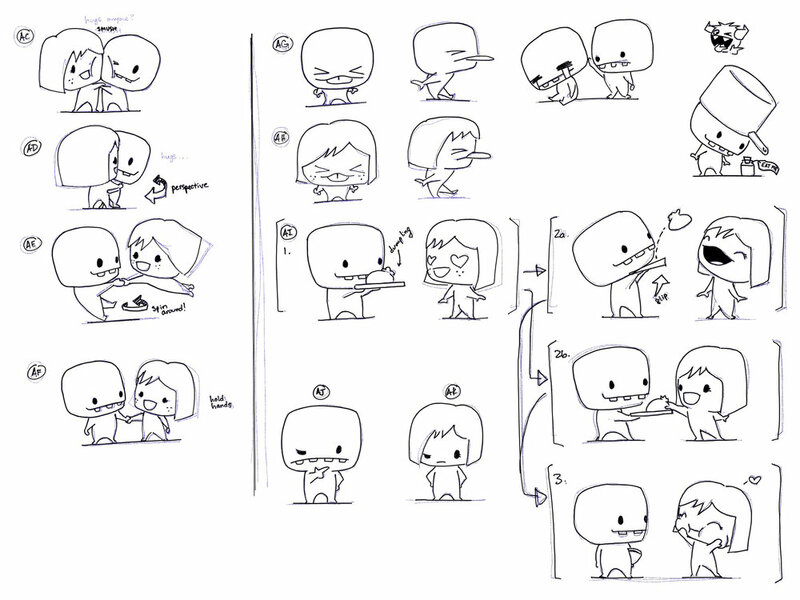 The animations were generic enough so that they could be used for a variety of emotions, grouped as such. I had an amazing time working at codeSpark, and I learned a lot from the team about making animations and art based off of audience-focused gameplay and experience design choices. It was a small enough group that I felt like I was treated more like a contract worker rather than a traditional intern; I was trusted to do work that went into the final expansion and I was always encouraged to ask questions. Thanks for such an awesome and empowering summer!